Looking for a job? Have you prepared your video resume? Not yet? Go through this blog to understand how important it is to have a well-crafted video resume for that dream job. These resumes grab the employer’s attention and help you stand apart in the crowd. 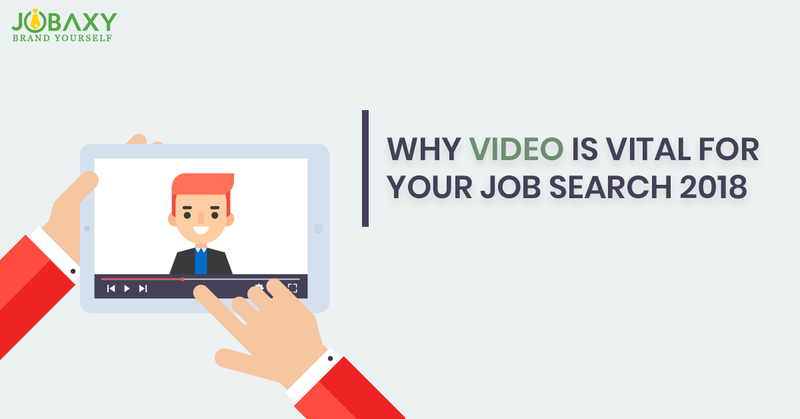 Are videos important in the job search? Well, the answer is yes. If we consider in general we all are attracted to the videos, which is proved by YouTube, the number two search engine in the world. This is because the majority of us prefer to have the information in the visual format as it is easy to understand. Videos are good for quick snippets of the information. This is excellent for the job scenario as well. The videos are noticed, and getting noticed is the first step to grab the job. Making a video is not at all a big deal for us today as it was a few years back. We all have smartphones with a good quality camera and are used to making videos in our routine life to relive our precious moments. In the same way, you can make your own video but with a bit of planning that can be used in the job search. Though videos that are made with the specialized help are undoubtedly great, the ones you make also work if made efficiently. Human Face grabs the attention – It is a brain function that uses the human face as a point for accurate information. Voice is the winner – The information that we hear is effective converted into meaningful content than the information that we read. It is a fact that a human voice speaking to us is more impactful and the information is registered in our brains quickly. Emotions are infectious – Emotions are tremendously powerful and infectious but we often take them for granted. The body language of emotions weaves the magic and surely the employer can invest their time in watching the interesting video than reading the typical CV. Movement grasps the attention – Another reason that we are attracted by the videos is the power of motion. Yes, since the early signs of life, noticing the things in motion has helped survival. We are naturally attracted to any movement or commotion and thus the video resume grabs the attention of the employer. So if you desire that most important phone call, please shoot your video and send in video resume for your next job. Not sure about the making of the resume, no worries, we are there to help. Visit us at jobaxy.com and get a perfectly crafted video resume for you.